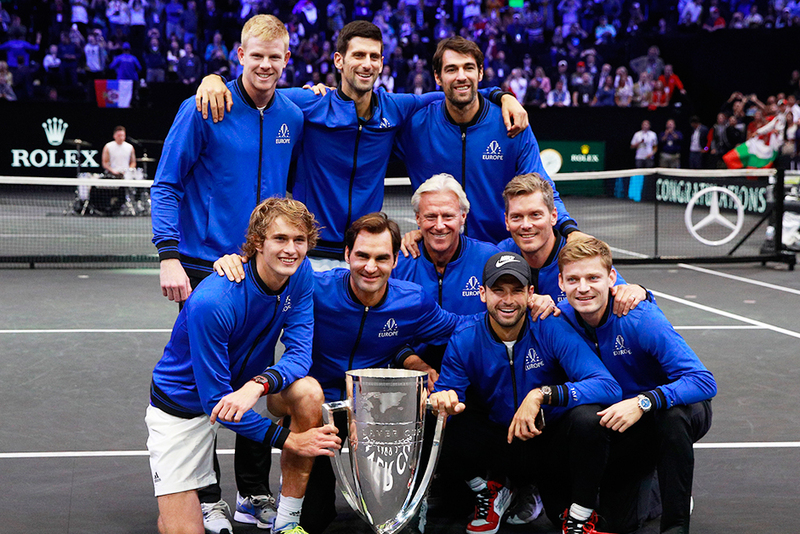 Chicago: Roger Federer and Alexander Zverev won clutch singles matches as Team Europe beat Team World 13-8 to retain the Laver Cup on the third and final day of action in the international tournament in Chicago on Sunday. Federer’s hard-fought 6-7, 7-6, 10-7 victory over American John Isner put the Europeans just three points from their victory target and Zverev got them there with a 6-7, 7-5, 10-7 win over Kevin Anderson. German Zverev needed to be at his sharpest to get past the South African stalwart but won the final five points of the third set tiebreak to ensure Europe would keep the trophy they won at the inaugural event in Prague last year. “It was such a close match all around, not only this one but all weekend, a few points here and there and it could have been different,” said Zverev. “I’m just happy to get the win and we defended the title, that’s the most important thing.” It was fitting that 21-year-old Zverev punctuated the triumph for Europe by conquering Anderson, one of the most formidable players of the tournament. Anderson had teamed up with American Jack Sock to knock off Federer and Novak Djokovic in doubles on day one, then defeated Djokovic in a singles contest on Saturday. On Sunday, John McEnroe’s Team World had taken their first lead of the tournament at 8-7 after the opening doubles when Sock and Isner slipped past Federer and Zverev 4-6 7-6(2) 11-9. Federer needed to save three match points to disarm Isner’s big serve and take the day’s opening singles contest, which like all of Sunday’s matches was worth three points. The World Team needed to win one of the first two singles matches to take the tournament down to the final singles clash between Djokovic and Australian Nick Kyrgios but Zverev’s victory ensured it was not required. Grigor Dimitrov, David Goffin and Kyle Edmund were the other members of the triumphant team led by Swedish great Bjorn Borg.